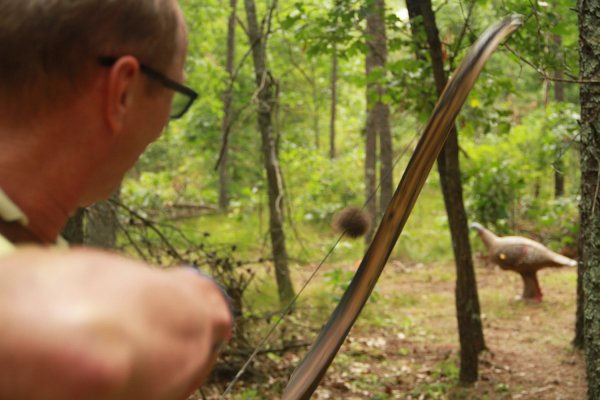 Coshocton, Ohio — Whether you’re a seasoned archer or just a beginner – all are welcome to experience the Rinehart R100 traveling archery tournament, coming to Coshocton May 18-19 at the Coshocton County Sportsmen’s Club. Hosted by Rinehart Targets®, manufacturers of the most durable and lifelike 3-D archery targets in the world, the full weekend of archery fun is not one to be missed! Events include fun games, novelty shoots, raffles and a tournament awards ceremony where archers can win prizes. Open to adults and kids of all ages, the R100 archery festival is two days of archery fun and shooting competitions. Participants will have the opportunity to take shots at 100 of the most unique targets on the market – from life-sized giraffes, hippos and T-Rex dinosaurs, to zebras, and elephants. A truly a one-of-a-kind event, no experience is necessary, just bring a good attitude and be ready for fun. The R100 shoot is open to all ages and families are welcome. Attendees can pre-register for the event at http://www.r100.org and save up to $10. Participants can also register onsite beginning Saturday at 7:30 a.m., and begin shooting immediately.